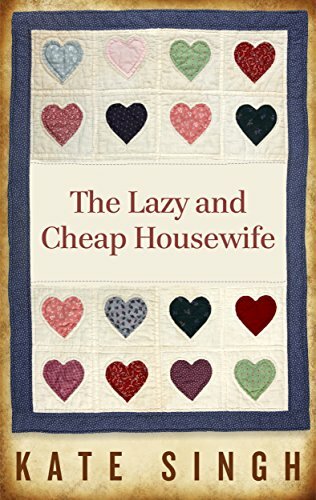 The Lazy and Cheap Housewife. Free all week! Great little book to get started on a simpler and more frugal life. The title is deceiving because this isn’t really about being cheap or lazy, it’s about creating a life for your family and as a homemaker that is easy on all of you, peaceful and relaxed. It’s also filled with ideas to begin a frugal and thrifty life which will also create peace and happiness in the family home. If you find this book only begins to peak your enthusiasm for a different lifestyle go on to my The Homemade Housewife that is literally packed with ideas, tips, recipes, and schedules to recreate your home, budget, and homemaking ways. Previous Ideas on homemaking and cooking with zero spending. Next Ways to save money, get super healthy and have fun this summer for pennies. There is nothing lazy about you! You are a creative force! I don’t know why I gave it such silly title. One reader complained that it wasn’t lazy and I think that is what they were hoping for so they were a bit pissy about my cleaning schedule.